With the kids at school, us moms have a little more time these days to get together without interruptions 🙂 My friends and I love to spend a morning with coffee and sweet treats, gabbing about those very same kids we’ve dropped off at school, lol! Every couple of weeks one of us hosts, and when it’s my turn I like to have something new to serve. 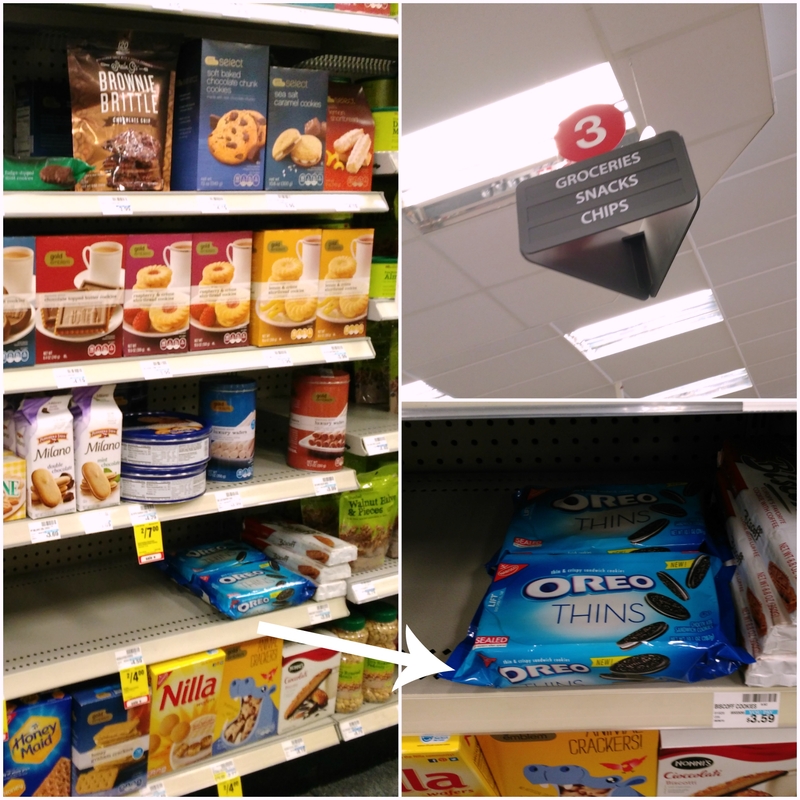 I stopped in at CVS last week to spend some ExtraBucks and spotted these new OREO Thins in the snack aisle. 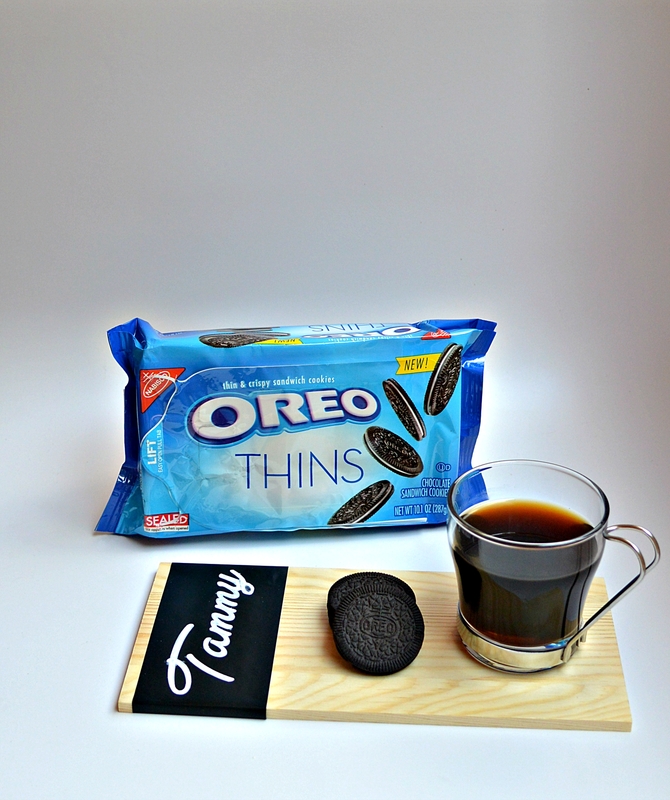 Since OREO Thins Are In… I knew they would be perfect for a “Moms’ Morning In.” I bought the Original flavor of OREO Thins, but they also come in Golden and Mint. YUM! Even though I was pretty sure my friends would enjoy snacking on these cookies, I had to try them before I served them. I mean, quality control and all that 😉 Just like their name, OREO Thins are thin, crispy and …delicious. They taste just like their ‘thicker’ counter part, just lighter! I usually try and make a small crafty favor that my friends can take home with them when coffee break is at my place. 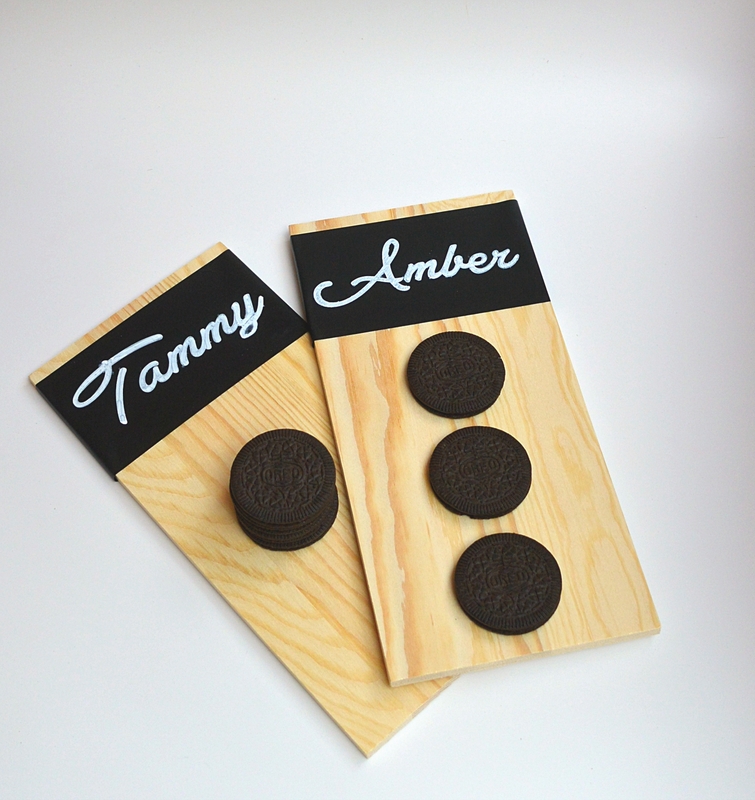 I’m sure you know that chalkboard décor is all the rage, and so I made DIY personalized chalkboard serving ware, to serve my friends the new OREO Thins. 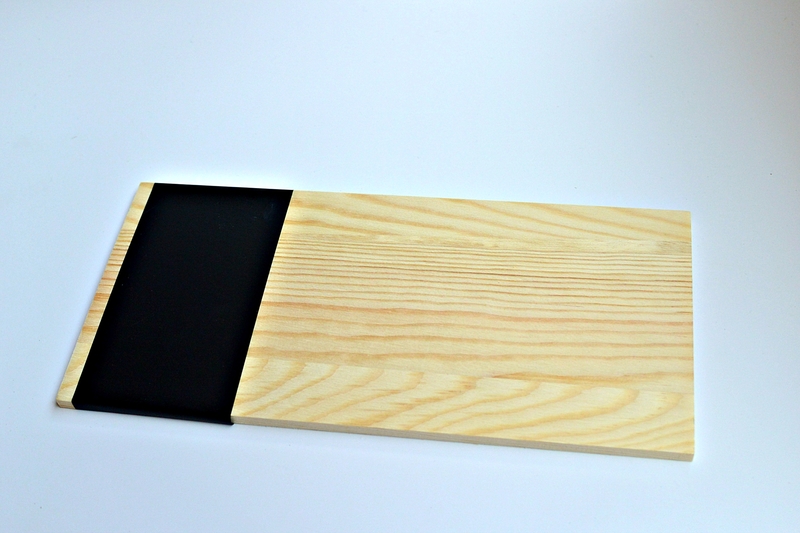 These serving trays and accessories are simple and fast to make, and it’s a fun thing to send home with your guests, or to reuse yourself since you can erase everything for another day. 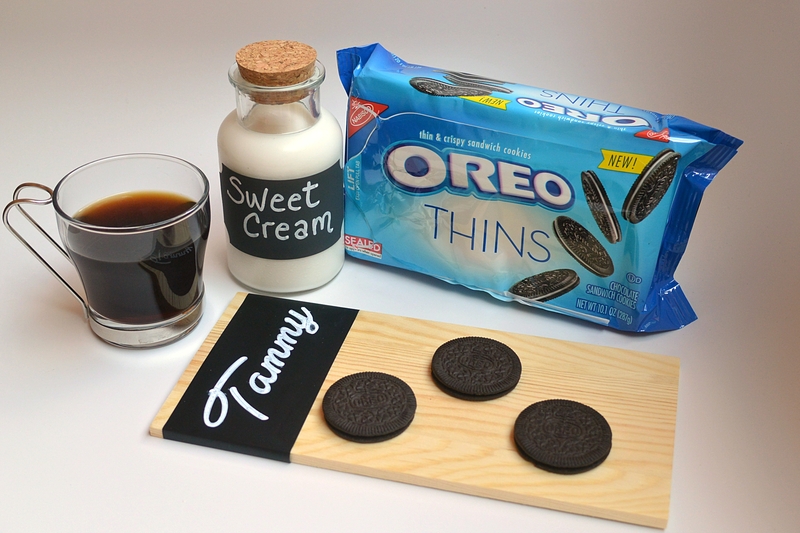 Quite honestly, I think my friends talked more about the OREO Thins than they did about their personalized chalkboard trays or their children 🙂 They were impressed at how full of flavor they were even though they were a thinner cookie. Much like myself, now they all are eager to try the Golden OREO Thins and the Mint OREO Thins too. 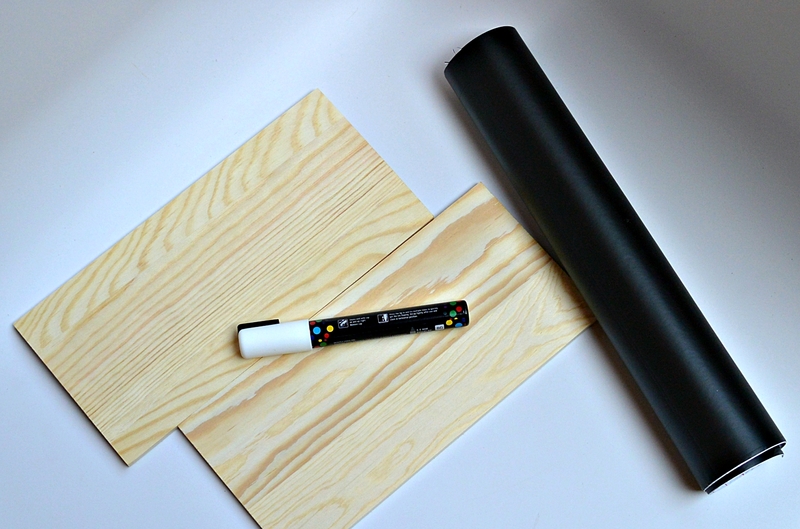 Cut some of the chalkboard vinyl off the roll so that you can wrap it around one edge of the board. Then write your guests’ names on the vinyl with the chalk marker. I bet you didn’t think it would be that simple. Well it is! 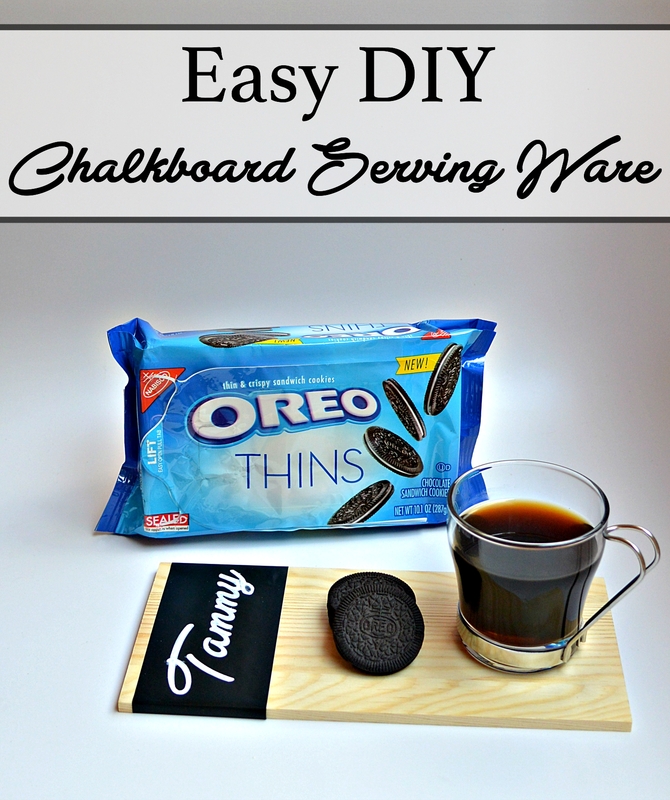 You can have fun setting all the OREO Thins out on a larger serving tray as well. I used a round wood plank for this, and I found some chalkboard arrows at the store. You could easily just cut the arrow shapes out of the chalkboard vinyl though. If you use pre-made shapes, two way tape will keep them from shifting around. The vinyl is easy to re-position, if you want to move the arrows around. 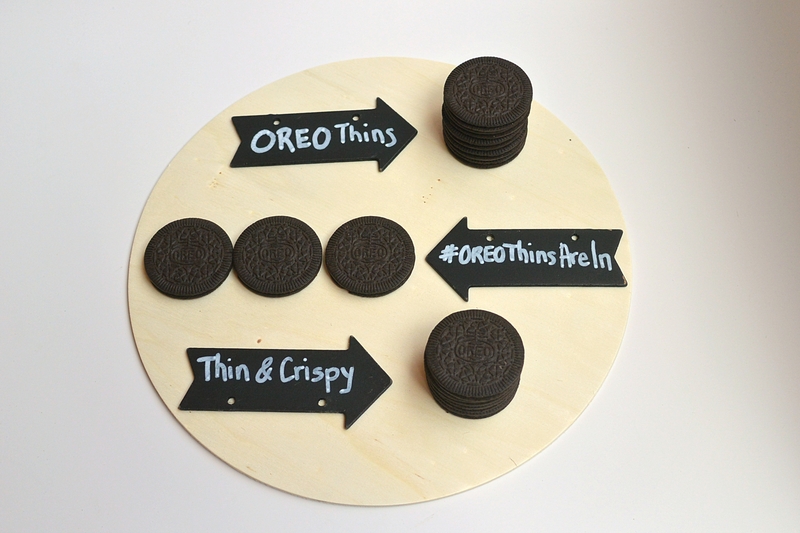 If you have all three varieties of OREO Thins; Original, Mint and Golden – you could write the flavors in the arrow spaces so everyone knows which flavors they are. Enter to WIN 1 of 2 $500 CVS Gift Cards!!! 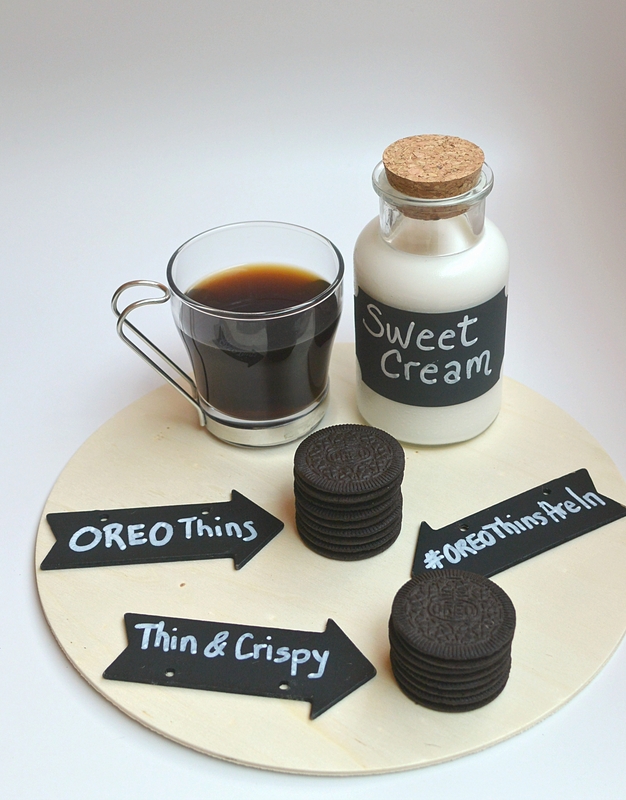 You can learn more about OREO Thins by following OREO on social media. This is a easy fun project! And we all love Oreo’s! 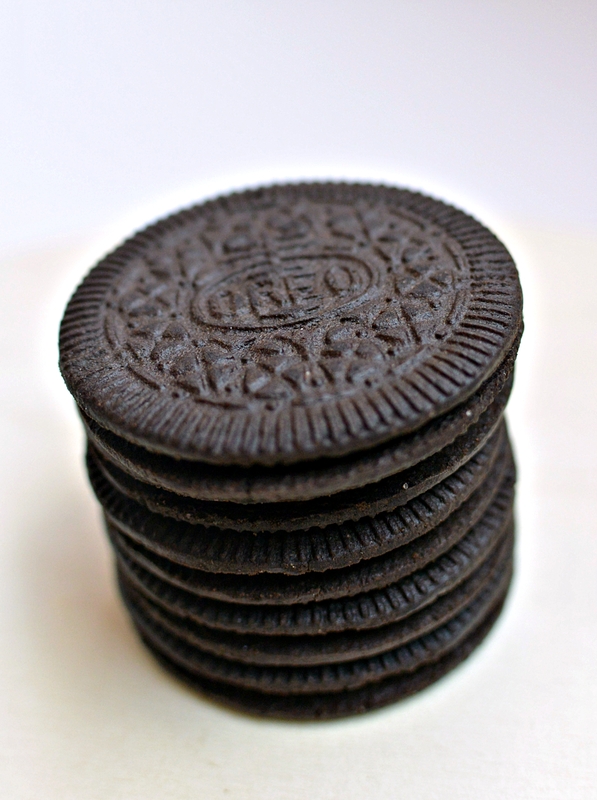 Thin oreos are the best.